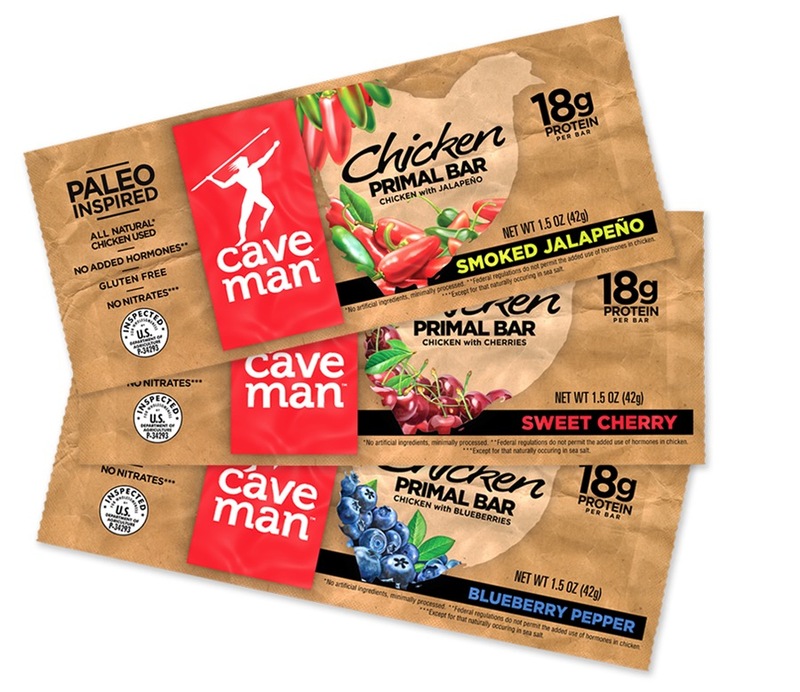 Cave men didn’t have cameras, so Caveman Foods wanted the art for the Chicken Primal Bars to look hand-painted, yet a little more realistic than the usual work others were doing on walls of caves. They wanted the art realistic because humans were such visual creatures. Just seeing the sparkling, tasty ingre­dients would make human mouths water. Not to mention that the conve­nient, ready-to-eat bars saved days of hunting and gathering. 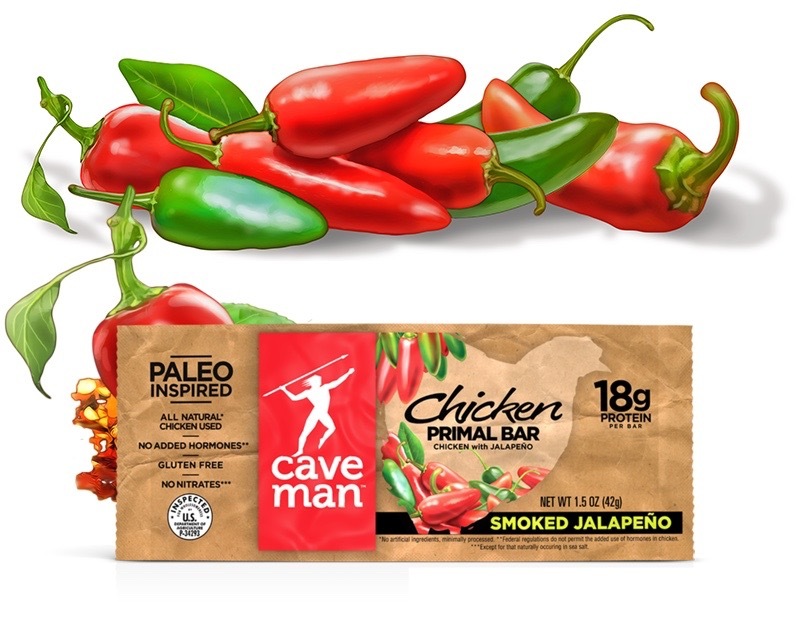 The Primal Bars must have been a challenge to make–they contain chicken meat somehow hermet­i­cally sealed into their wrappers. No one really knows really what cave men ate, so it was a chance to be creative: blueberry-pepper chicken, sweet chili chicken, smoked-cherry chicken, al adven­turous tastes. The small bars had the taste of a large meal. 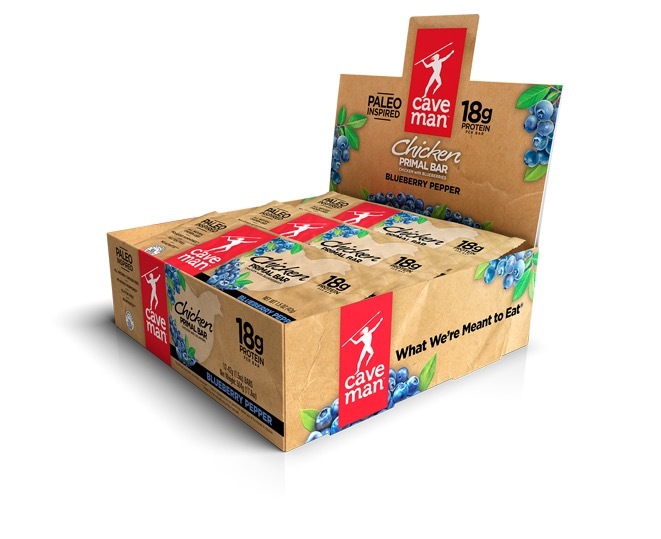 The packaging and box caddies presented a challenge for an illus­trator. To work with the design, the art had to be cut, fit, flopped, and masked into a variety of odd shapes. Not only that, but the designs were still evolving as I did the illus­tra­tions. Ultimately a mouth-watering success. 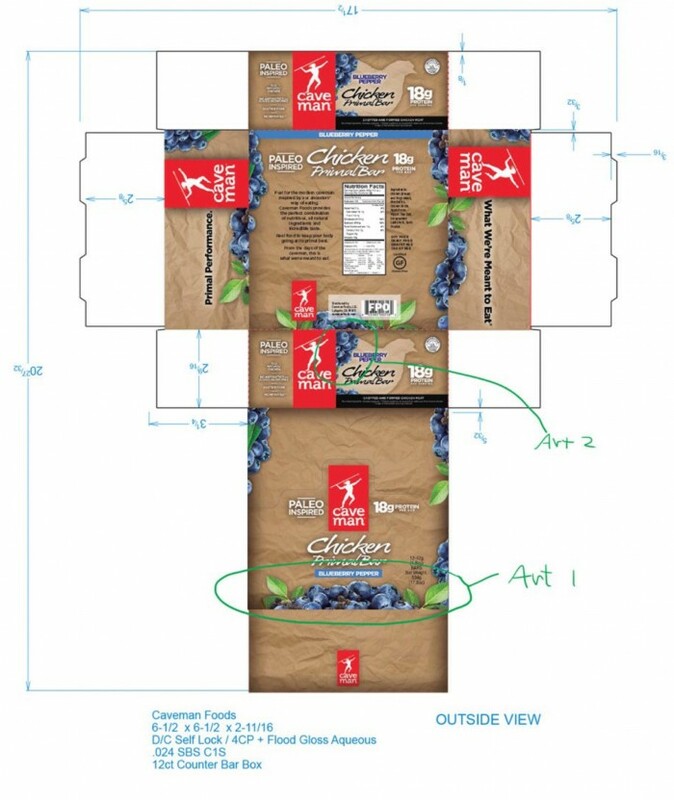 Printed Die Cut package for Blueberry-Pepper Chicken Primal Bar with blue instruc­tions for where the art goes.